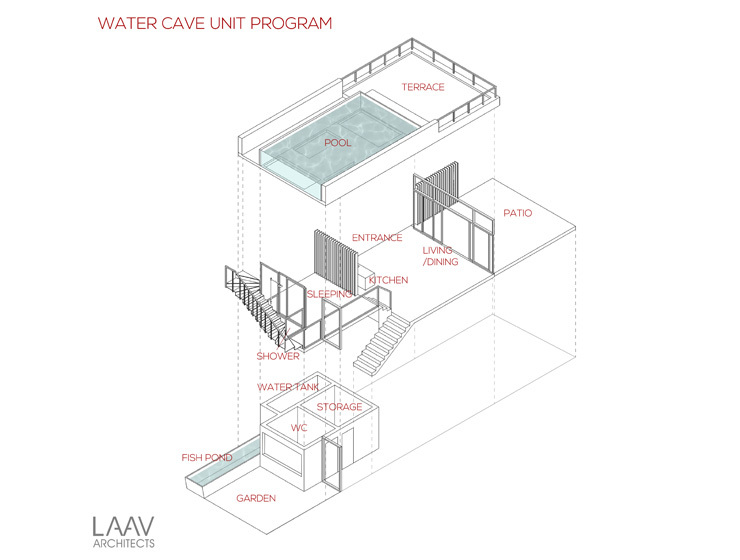 The Water Caves designed by LAAV Architects is a vision and these images should be regarded as such. Every vision leads to a future. 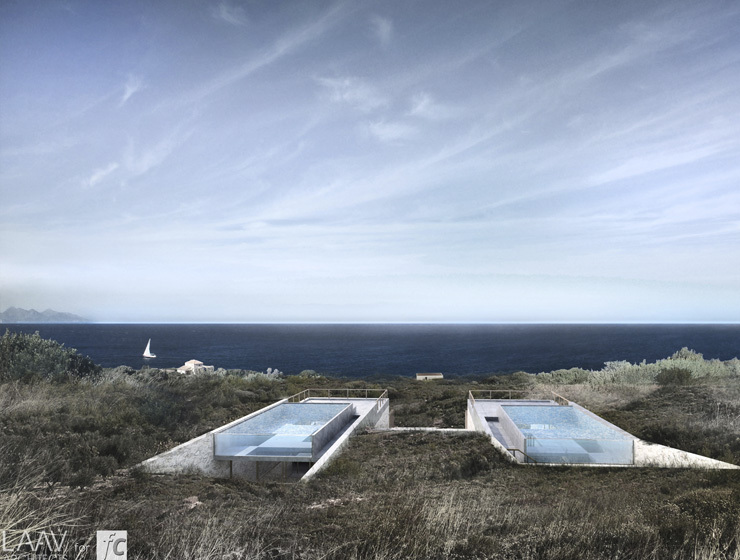 We want a future where sustainability can be attractive to users, functional but also poetic. Therefore we created the Water Caves. The project aims to have reduced C02 emissions. 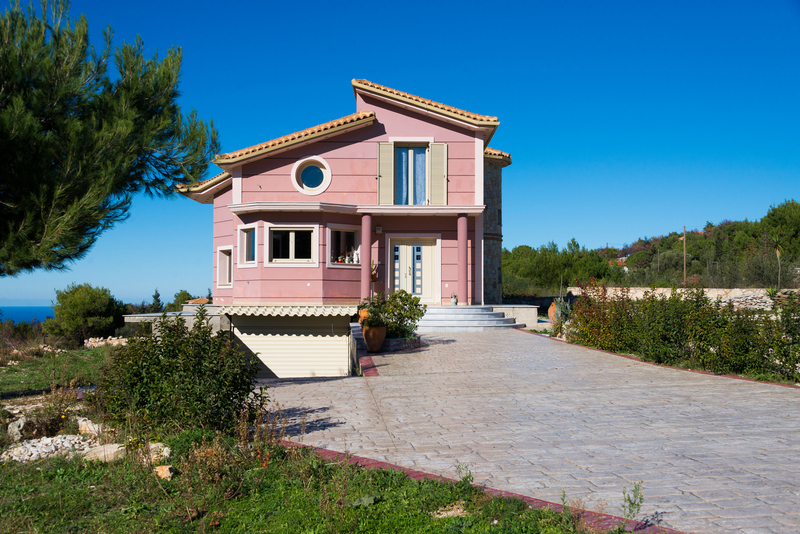 Therefore it follows these principals: - It is placed inside the Earth (80% of its volume), therefore there are no thermal losses as the ground insulates the structure. 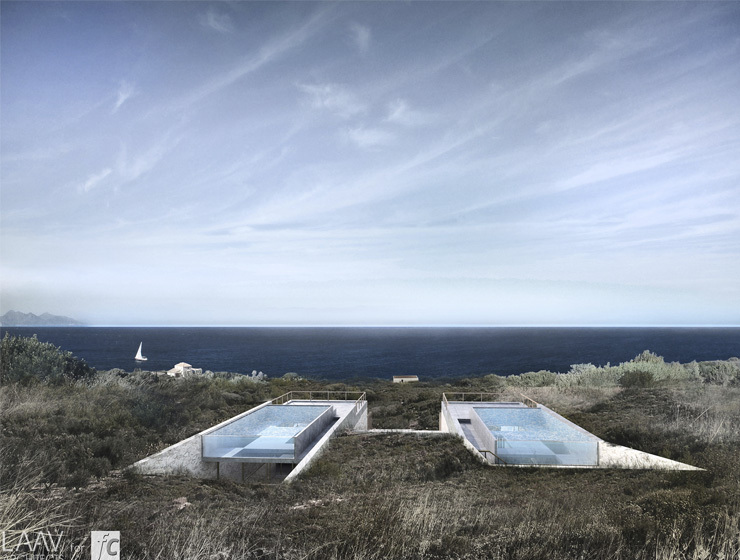 - At the same time, through the pool bottom openings natural light is brought in the interior. 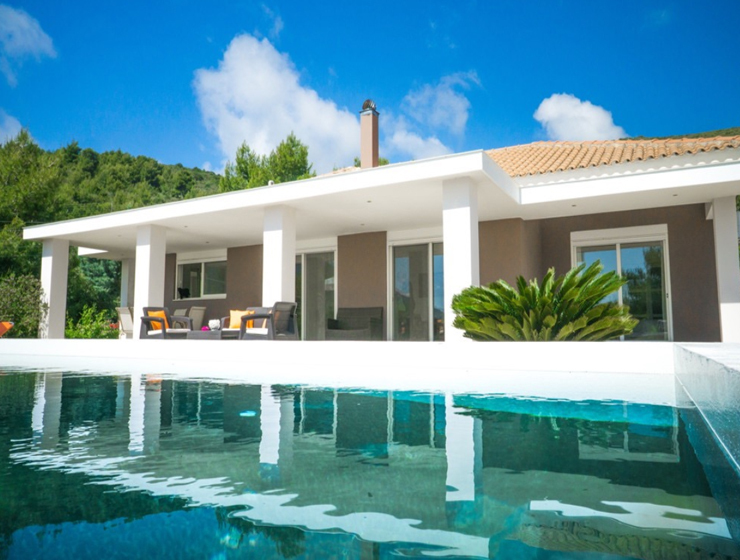 - The water of the swimming pool on top chills the interior during the hot summer months. 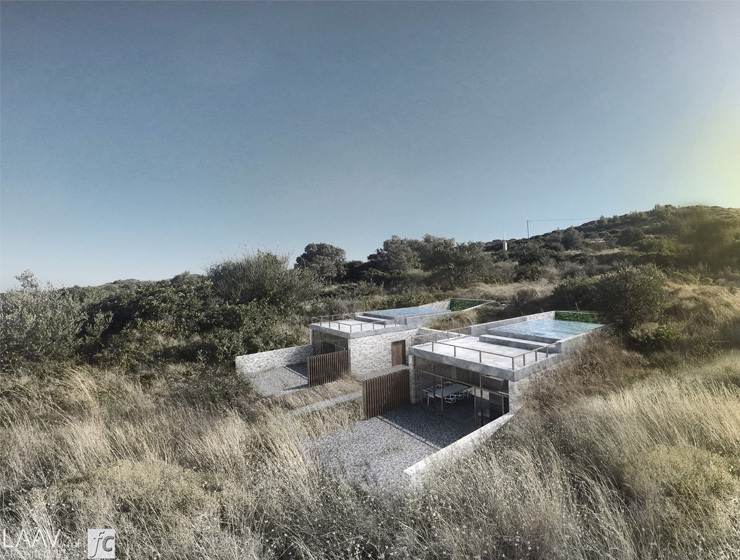 - The whole unit is an open, permeable space with all "rooms" having direct connection. This way, there is a (controllable) 24/7 draft within the house which makes the use of AC unnecessary. 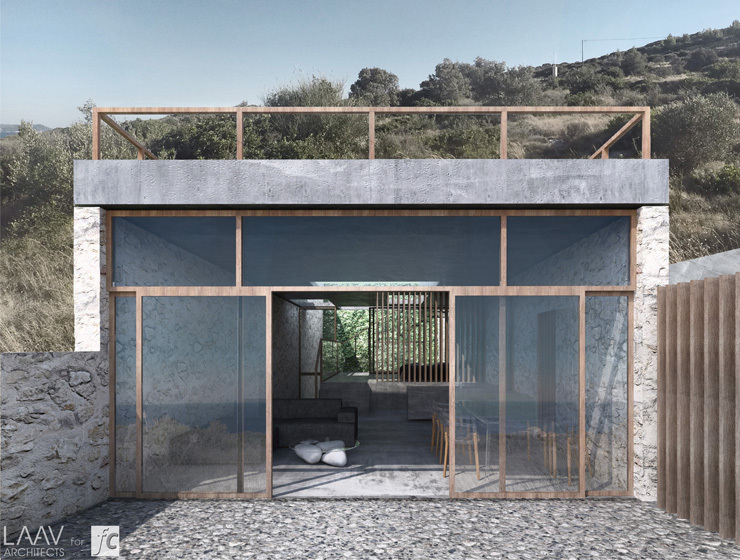 - The back, vertical garden and the planted front patio create green for both ends of the unit which contribute - Stone walls: The vertical walls are made of the stone extracted from the excavation pit for the units. This way there is a re-use of the local, contextual material, one of the most sustainable building strategies. 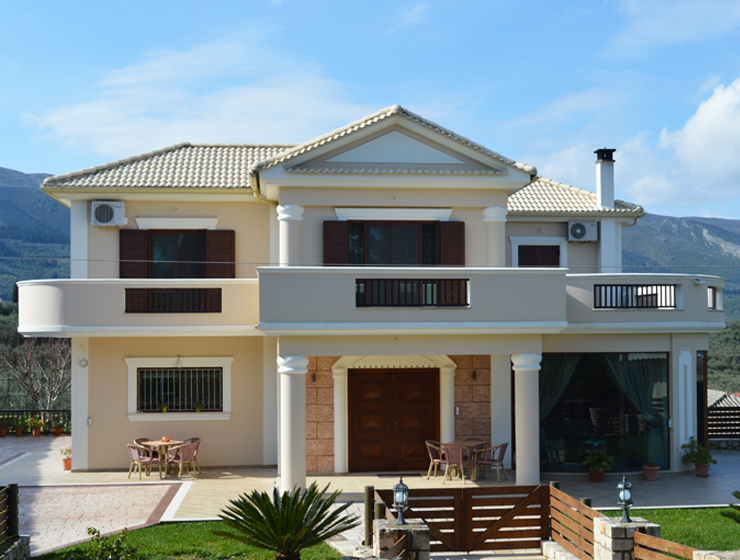 At the same time it is a traditional way of construction in the island of Zakynthos, therefore you integrate with the local architecture. - Materials: The whole units consists out of three horizontal slabs which can be made out of concrete or steel with any preferred finishing. 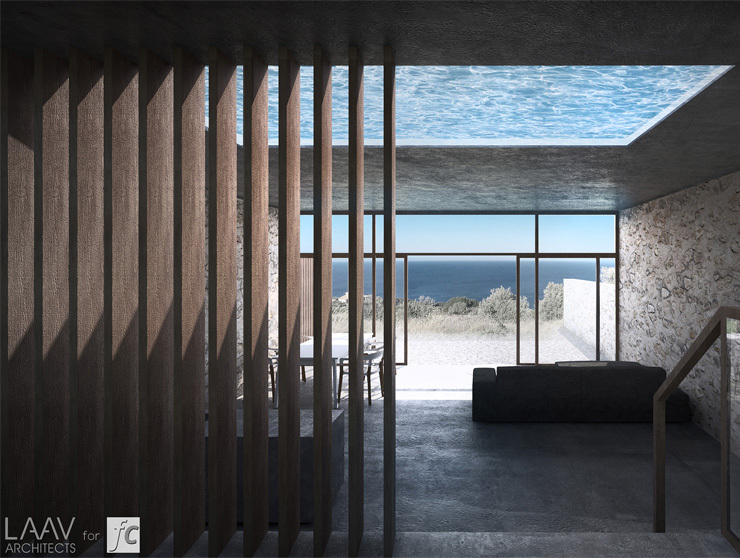 It is suggested that the highest slab (ceiling) should be made of concrete in order to bear the load of the pool. Alternative material for these slab could be steel which would have a better seismic behavior. - Water circulation is designed in a way to avoid high-pressure pumps, just by using gravity. 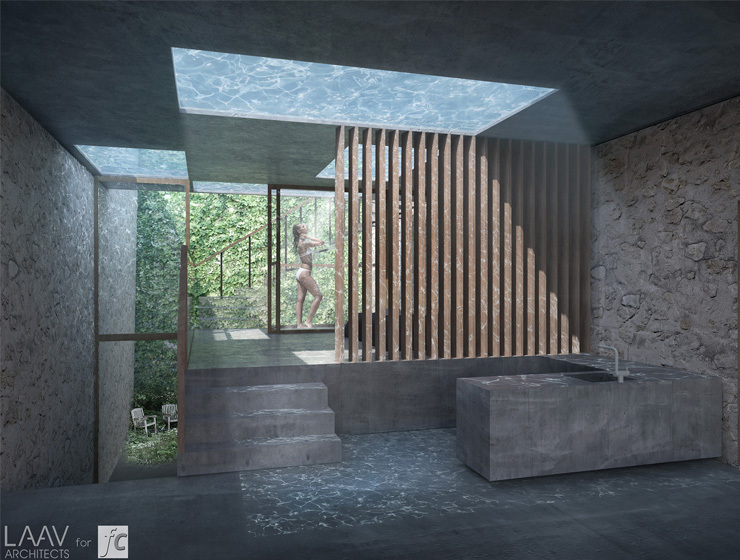 Water recycling and storage is also critical for the project (for example shower water gathers in water tank below and can be used for WC flushing).